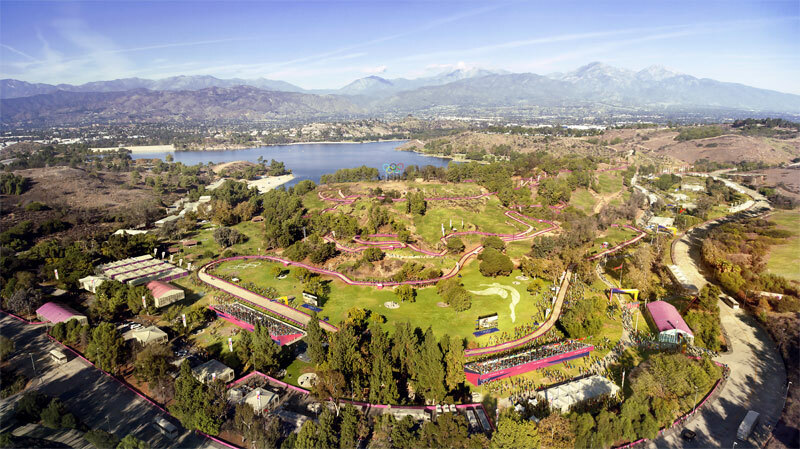 LA 2024 announced Tuesday its proposed locations for archery, modern pentathlon and mountain biking – the final three venues of plans to host the Olympic and Paralympic Games. This completes a full set of existing, planned or temporary venues with no permanent venue construction required, and will be included in the third and last set of documents due into the International Olympic Committee (IOC) February 3. The bid says that archery will take place in the surroundings of the new, state-of-the-art LA Stadium and Entertainment District at Hollywood Park, mountain biking will be a the Frank G. Bonelli Regional Park in San Dimas, and modern pentathlon will be staged at the multi-use StubHub Center in the LA 2024 South Bay Sports Park. The locations were selected following extensive consultation and collaboration with their respective International Federations and National Governing Bodies, along with experienced venue owners and operators. 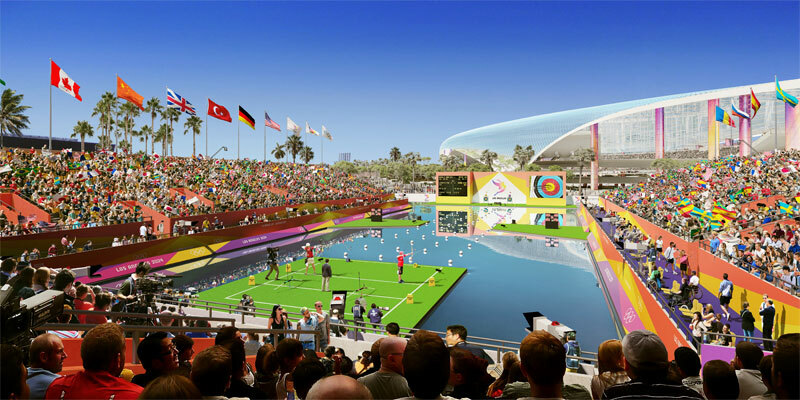 According to LA 2024, the locations chosen to continue the recent tradition of hosting the archery competition at one of the city’s key Olympic focal points, the man-made lake in the state-of-the-art LA Stadium and Entertainment District at Hollywood Park. The LA Stadium will soon be the home of the National Football League’s Rams and Chargers, and is also the proposed venue for the LA 2024 Opening and Closing Ceremony. On Monday the bid announced what it called a “groundbreaking” plan to host a city-wide Opening and Closing Ceremony that would be split between two stadiums – the iconic LA Memorial Coliseum and the new, modern NFL stadium that will reportedly be the most expensive venue of its kind ever built. The torch relay will connect the two venues for the Opening Ceremony where the formal components will be held at the new stadium. The key Closing Ceremony components will be staged at the Coliseum with live viewing and entertainment available at the new football venue. Modern pentathlon will be held at the LA 2024 South Bay Sports Park alongside rugby, tennis, field hockey and track cycling. 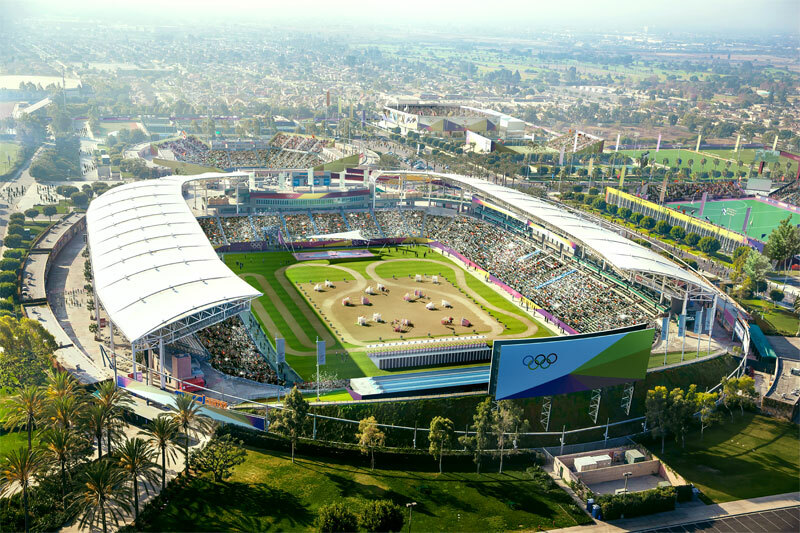 All five modern pentathlon disciplines will be staged within the StubHub Center, which is also LA 2024’s proposed Rugby venue during the first week of the Games, and will host Modern Pentathlon the second week. LA 2024 CEO Gene Sykes added, “at LA 2024 we are particularly grateful to the IOC for creating a bidding process which allows for closer collaboration with the IFs than ever before, and the chance to enhance our offering to the Olympic Movement with every iteration of our Games Plan. This low-risk, sustainable venue configuration will mean no surprises for the IOC and IFs and optimal conditions for every athlete in 2024”. Los Angeles is competing with Paris and Budapest to host the 2024 Olympics, and the winning city will be elected by the IOC September 13 in Lima, Peru.